When 12 wounded servicemen, accompanied by Prince Harry, prepared to set off to the South Pole, minimizing the weight of their equipment was paramount. 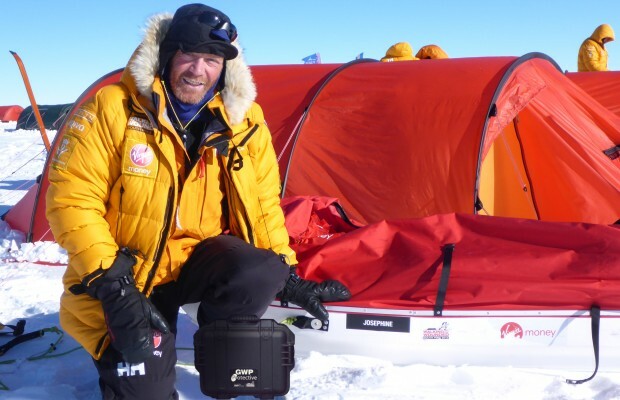 However, with temperatures potentially falling to -35°C, expedition managers recognised that valuable electronic equipment would need protecting against the ruthless conditions and the solution they chose, Peli Storm cases from Wiltshire-based specialist packaging company GWP, proved popular with the team. The servicemen were taking part in Walking With The Wounded’s Virgin Money South Pole Allied Challenge last December. The expedition saw three teams of wounded servicemen and women – from the UK, US and the Commonwealth – race 335km to the South Pole. The UK Team Glenfiddich all needed to carry with them valuable possessions and equipment such as personal cameras and satellite phones, which had the potential to be damaged by the extreme temperatures. Wiltshire-based GWP Protective, a manufacturer and supplier of specialist protective packaging, donated 30 cases to the expedition. Peli Storm cases can be used in temperatures from as low as -40°C without fear of hinges sticking or breaking. They are also completely waterproof and virtually impossible to break, which made them an ideal choice for an extreme expedition such as the South Pole Allied Challenge.